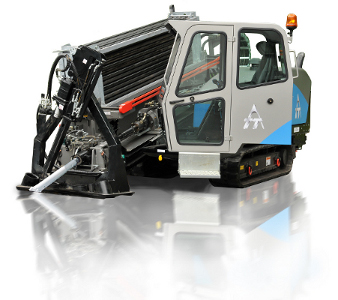 ORFEUS addresses the requirement for advanced technologies for locating, maintaining and rehabilitating buried infrastructures and, on particular, it fulfils the requirement for locating buried assets. Ground Penetrating Radar (GPR) is the only known non-invasive technique that can detect metallic and non-metallic buried objects. However, conventional pulse time-domain technology has reached the limit of its development potential, so ORFEUS used innovative techniques to provide a clear advance in the state of the art. ORFEUS is a full scale EU-financed demonstration project aiming at progressing the previously developed Horizontal Directional Drilling drill tip Radar that was proven under the preceding project entitled “Optimised Radar to Find Every Utility in the Street” to a commercial stage. GIGA intends to introduce satellite navigation technology in user community (UC) energy processes with a special view on current satellite positioning systems like, for example, GPS and GLONASS and the future European Galileo system. 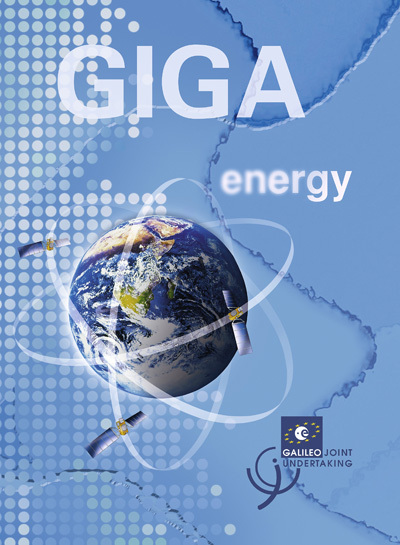 GIGA aims at analysing, demonstrating and disseminating the benefits of EGNOS and Galileo (+GPS) for high precision positioning applications in the area of energy exploitation and supply. GIGA will help to increase the awareness on Galileo/EGNOS and the related chances and positive impacts for the ‘energy’ community. Measures and technologies will be defined, developed and made known to UC energy by using design concepts, demonstrators and public events. ROBO-SPECT, driven by the tunnel inspection industry, adapts and integrates recent research results in intelligent control in robotics, computer vision tailored with semisupervised and active continuous learning and sensing, in an innovative, integrated, robotic system that automatically scans the intrados for potential defects on the surface and detects and measures radial deformation in the cross-section, distance between parallel cracks, cracks and open joints that impact tunnel stability, with mm accuracies. 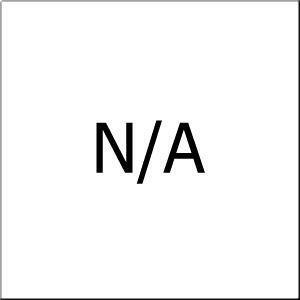 This permits, in one pass, both the inspection and structural assessment of tunnels. Intelligent control and robotics tools are interwoven to set an automatic robotic arm manipulation and an autonomous vehicle navigation so as to minimize humans’ interaction. This way, the structural condition and safety of a tunnel is assessed automatically, reliably and speedily. Introducing, testing and validating an operational process for the automated removal of asbestos contamination at a real world rehabilitation site using a robotic system. The proposed robotic system will consist of multiple robotic units, a central aspiration and energy supply and a central process control system, that allows easy programming and the supervision of the automated process and optional remote control. Sensor systems will allow the environmental perception of the system and local monitoring of the asbestos-removal-tasks. TUNCONSTRUCT is 6FP European project as multi-disciplinary approach to promotes the development of technological innovation in underground construction. Dedicating extensive areas to parks, playgrounds and recreational facilities. Minimizing traffic obstructions and carbon monoxide contamination. Redirecting into productive and recreational activities, time previously wasted in slow-moving traffic. TUNCONSTRUCT will contribute to congestion-free, greener and cleaner cities by reducing the cost and construction time of underground infrastructures. The objective of the RFCS STAMS project is to implement these technologies in underwater conditions, to integrate them into multifunctional monitoring and inspection modules, and to design permanently installed sensors, to guarantee periodic and long-term continuous monitoring and condition assessment of flooded mine shafts. It will develop a Multi-functional Monitoring system for high-pressure conditions, an Ultrasonic Inspection Module allowing a combined profiling/imaging treatment thanks to a combined scanner, and water dynamics and gas monitoring devices for deep coalmines shafts. The devices will be tested in real mining conditions. Numerical models will be developed to improve the quality and the efficiency of the monitoring tools as well as interpretation of collected data through a real time assessment of shaft stability conditions. The results of the project will be useful for end-users and contribute to alerting them in case of unfavourable conditions. This will allow the authorities to take the suitable measures relevant to the problems reported. The SARAFun project has been formed to enable a non-expert user to integrate a new bi-manual assembly task on a robot in less than a day. This will be accomplished by augmenting the robot with cutting edge sensory and cognitive abilities as well as reasoning abilities required to plan and execute an assembly task. Scan4Reco project aims deliver a multi-modal and multi-discipline platform that will be able to non-destructively scan any cultural asset. Scan4Reco introduces a novel and innovative approach for the scientific and wider community as it enables the processing of multi-sensorial input in such a way that produces a hierarchical, multi-layered and multidimensional complete model of the object of interest. In addition, Scan4Reco will combine the object of interest with inter-disciplinary knowledge derived from the web and specific relevant datasets while also provide it with an automatic inference of its forthcoming state/shape in the future. The main goal of MobiS is to create a new concept and solution of a federated, customized and intelligent mobility platform by applying novel Future Internet technologies and Artificial Intelligence methods that will monitor, model and manage the urban mobility complex network of people, objects, natural, social and business environment in real-time. VITAL (VIrtualized hybrid satellite-TerrestriAl systems for resilient and fLexible future networks) is an ambitious project addressing the combination of Terrestrial and Satellite networks by pursuing two key innovation areas, by bringing Network Functions Virtualization (NFV) into the satellite domain and by enabling Software-Defined-Networking (SDN)-based, federated resources management in hybrid SatCom-terrestrial networks. The project "GeoClima" aims to develop an integrated Geographic Information System (GIS) that will provide an interactive way for the user to do management, analysis and visualization of all the information that relates directly or indirectly to climate condition and estimated future changes in the region of Greece. The Ultrasonic Planetary Core Drill project seeks to build a device that can take a sample of rocky, sandy or frozen material from depths of 30cm underground, place it inside a capsule, and then seal it closed. In late 2016 we will be going to one of the most Mars-like places on Earth, Antarctica, to test how the device might work in space.